Bill Celis, an award-winning teacher and author, is a former education correspondent for The New York Times and a former reporter and columnist for The Wall Street Journal. His work on education and school reform policy over two decades has appeared in SCPR.org, KPCC/ Southern California Public Radio, the American Prospect magazine, The Boston Sunday Globe, The New York Times Week in Review, Teacher magazine, Columbia University’s Teachers College Record and Voices in Urban Education, a quarterly produced by the Annenberg Institute for School Reform at Brown University, and a number of other general-interest publications. He serves on the advisory board of AmericasWire.Org, a national wire service directed by the Maynard Institute's Media Center on Structural Racism and has worked with a variety of other groups on journalism and diversity, including the National Association of Hispanic Journalists, Online News Association and the Society of Professional Journalists. He is the author of "Battle Rock: The Struggle Over A One-Room School in America’s Vanishing West" (Public Affairs, New York, 2002). The book chronicles the influx of urban migration to the rural West and the resulting rise of the one-room school; the book was included on several year-end lists, including the Investigative Reporters and Editors Magazine list and was nominated for the Mountain Plains Regional Book Award. His forthcoming book on the 1973 U.S. Supreme Court decision in San Antonio Independent School District vs. Rodriguez explores the intersection between the Latino Civil Rights movement around access to public education. At USC Annenberg, he has taught a variety of courses for undergraduate and graduate students and directed the graduate theses and comp exams. Celis has taught courses in education and urban affairs reporting, magazine writing, news reporting and writing and media history; his classes were among the first in journalism school to consistently produce content across platforms and, most recently, on tablets and smart phones for the Watt Way class website. He won the 2011 USC Provost’s Prize for Teaching with Technology, with Wendy M. Chapman, director of Annenberg Web Technologies. Through their pilot, USC Annenberg became among the first journalism schools in the country to pilot the use of the iPad as a reporting tool from the field; he also was named the 2007 Outstanding Print Instructor by the Annenberg Graduate Student Association. As part of his teaching, he conceived and helped create Intersections: The South Los Angeles Report, the first community news website at USC Annenberg; the site won initial grants from the USC Annenberg School, the J Lab: Institute for Interactive Journalism and the McCormick Foundation. In 2012, he was named one of the country’s 100 Web-Savvy Professors; a Top 50 Journalism Professor; and in 2010, was named one of 50 journalism professors worth following on Twitter and included on a list of 100 journalism education Twitter feeds that featured leading professors, Time magazine and other national media outlets. From 2011-2013, he served as associate director of the School of Journalism, overseeing the school’s graduate admissions, student affairs, use of technology in the curriculum, and enhanced the graduate theses and comp exam experiences. As chair of the Annenberg Diversity Initiative, the “Celebrating Difference” report he wrote helped inspire changes in the school curriculum, faculty hiring at all levels and more diverse composition of school panels and projects. The effort won the journalism school the 2011 Equity and Diversity Award from the Association for Education in Journalism and Mass Communication, the organization that accredits schools of journalism and mass communication. He also served as chair of the Graduate Education Task Force in 2012, leading USC Annenberg to offer a new one-year master’s degree in journalism, replacing the School’s two-year degree. He returned to the faculty in August 2013 to resume work on his campaign for full professor. Celis is an affiliate faculty member with the USC Department of History, Latino studies, and he holds a courtesy appointment in the USC Rossier School of Education, where he serves on a steering committee examining digital education innovation in urban schools. He is also a member of several professional organizations, including the Education Writers Association, the National Association of Hispanic Journalists and the Online News Association. 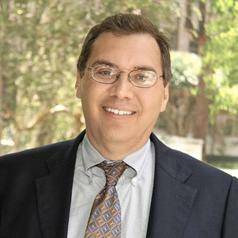 Celis earned his master’s degree from the Columbia University Graduate School of Journalism, where he was awarded an Overseas Press Club fellowship to report on Mexico’s economic and immigration issues; he holds an undergraduate degree in journalism and English from Howard Payne College, a small liberal arts college in his native Texas.